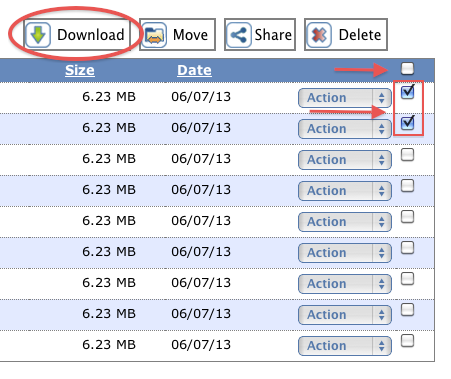 In the Web Client (latest version) you can select multiple files to download as a single zip file. First, select 2 or more files using checkboxes on the right hand part of the display (or select ALL files in the folder using the “master” checkbox). Then click the “Download” button. A popup will confirm, then present a zip file link. Remember, the zip file is created “on the fly” so more/bigger files take longer before the zip file link appears. An even more power download is available in the Desktop App, including folders and subfolders, with no zipping involved.